The 2019 National Budget sailed through the National Assembly on Thursday with legislators adopting the two percent intermediated tax which was one of the contentious issues in the Finance Bill. Parliament adjourned well after midnight after legislators debated the Budget. Zanu-PF members defended the tax but opposition MPs were opposed it saying it was punitive to ordinary Zimbabweans. 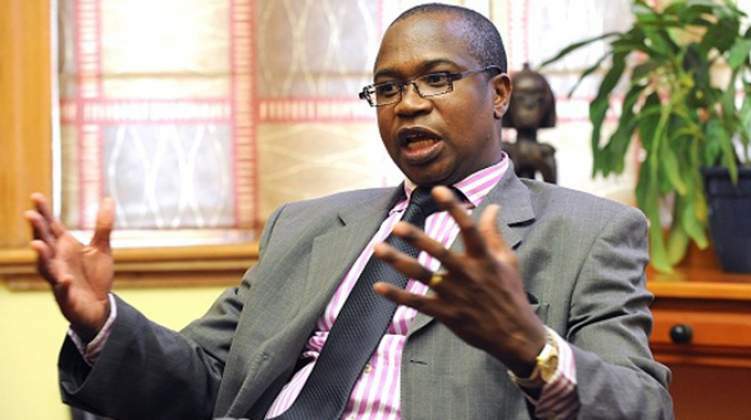 Finance and Economic Development Minister Professor Mthuli Ncube said it was a revenue collecting measure. "I move that this clause be adopted as is. I am actually quite surprised that we are still stuck on the same argument. We have just agreed to increase the parliamentary budget to $145 million, where do honourable members think that money is coming from? You are arguing for cars to be given to them, we have agreed and where do they think the monies are coming from? We are allocating $310 million to the constituencies of the honourable members, where do they think that money is coming from? It is coming from the two percent," said Prof Ncube. "We have also increased the budget for education, health. We have budgeted these monies and I believe that the exemptions that we have proposed will go a long way in making sure there is a relief out there and we need this money to balance the Budget." He said the two percent tax was a modern tax which recognises that people are using more electronic means to make payments, including mobile telephones. "We have to move with the times. We are actually ahead of the curve compared even to the First World; they are actually catching up with us in terms of modern means of taxation using electronic platforms. So, I urge Members of Parliament to recognise that we are raising the much needed revenue to support the work they do here in Parliament but also to add more resources to their constituencies through the devolution process and to the social services sector," said Prof Ncube. In his contribution to the debate, Kambuzuma MP Mr Willias Madzimure (MDC) had said the two percent tax must be reduced. "Going on to the real issue Honourable Chair, I think the best that the minister can do is give a relief to our people and reduce the two percent, it is punitive, 0,5 percent will be reasonable even though it is not the best way of doing it," he said. Former Finance Minister and Harare East legislator Mr Tendai Biti said he was against the manner in which the tax was introduced by Prof Ncube in terms of the law. "My submission is concerned around the manner in which the Hon. Minister has introduced this tax. You recall that the minister first announced this tax in his maiden press statement on the 1st of October, 2018. On Friday, 12th October, 2018, he then passed a Statutory Instrument that introduced this tax. The problem with the Statutory Instrument Honourable Chair is that it sought to amend a substantive provision of the Income Tax Act. Leader of the House and Justice, Legal and Parliamentary Affairs Ziyambi Ziyambi dismissed Mr Biti's argument saying it was him who introduced the provision. "When he was Finance Minister, he made provision for what the minister did. He amended Section 3 of the Finance Act to authorise that, subject to confirmation by Parliament. Now, he is standing here to say what he authorised when he was minister is now wrong! However, I put a point to the effect that Parliament has procedures of rejecting or accepting Statutory Instruments," said Minister Ziyambi. Buhera South Cde Joseph Chinotimba said legislators must not be double faced as they wanted allowances at the expense of the taxpayers. "We cannot defend our own Budget as Parliament but we want to defend that for the people. The people who are paying taxes are the ones that we are telling that we want our money increased as Parliament. We are stealing from the people. Are we not? It is the same money that you would want this Budget increased. They should not be double-faced. It is unfair even if the taxes were to be reduced," he said. Cde Chinotimba then called for the House to be divided and vote on the two percent tax. A total of 80 legislators voted for the adoption of the intermediated two percent tax against 26, leading to its adoption into the Finance Bill.